Indian jewelers may become a casualty of the Reserve Bank of India’s gold policy: Jewelers are now paying $10 an ounce over the London gold price, up from $4 just last week. 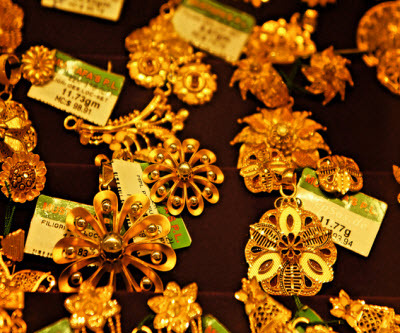 Premiums have doubled now that Indian gold importers are required to set aside 20% of the gold they bring in for export purposes, Bloomberg reports. Banks and other importers are raising premiums as they put the required quotas in warehouses, thereby restricting supply in local markets. Haresh Soni, chairman of the All India Gems & Jewellery Trade Federation, told Bloomberg that this may lead to job losses among small-scale jewelers. “We need relaxation on this for the survival of the industry,” Soni told Bloomberg. India was the world’s leading gold importer last year and the government has been trying to curb imports as the yellow metal weighs heavy on the country’s current account deficit. India's finance minister announced today that July figures are out and gold imports have risen compared to June when they dropped off slightly.